As we enter the clinic, we were welcomed by the pretty interiors professionally designed by sought after interior designer firm, Heim Interiors. 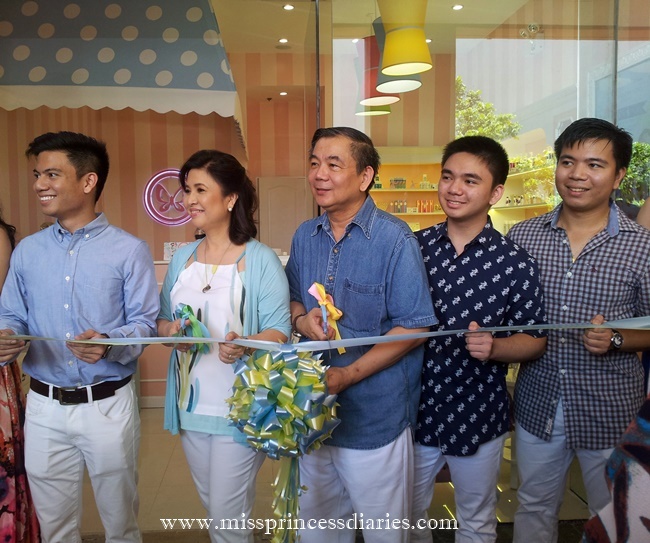 The concept of the store was dedicated to young, value-conscious millenials. The whole clinic was painted with mostly fun light colors. The ambiance was youthful and fresh. They offered skin care and cosmetic line that is formulated with latest international innovations. Every product is carefully engineered for optimal consumer needs. It includes lotions, creams, serums, lip balms, colognes and a lot more. There are just so much product to try. By the way, remember the innovative color-changing lip balm I reviewed? It is their product. In case you missed, HERE is my review. The man behind the innovative formulations is Mr. Fred C. Reyes. He is a multi-awarded chemist, SkinStation and Blushing Beauty founder. He received the 2008 Achievement Award and 2011 Outstanding Professional Award in Chemistry. 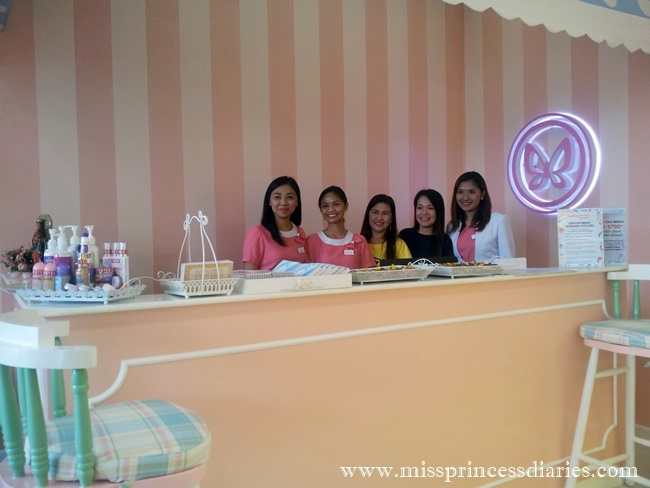 Here are the friendly and helpful staff of Blushing Beauty MOA branch. There are 5 private rooms available inside including the treatment room and consultation room. 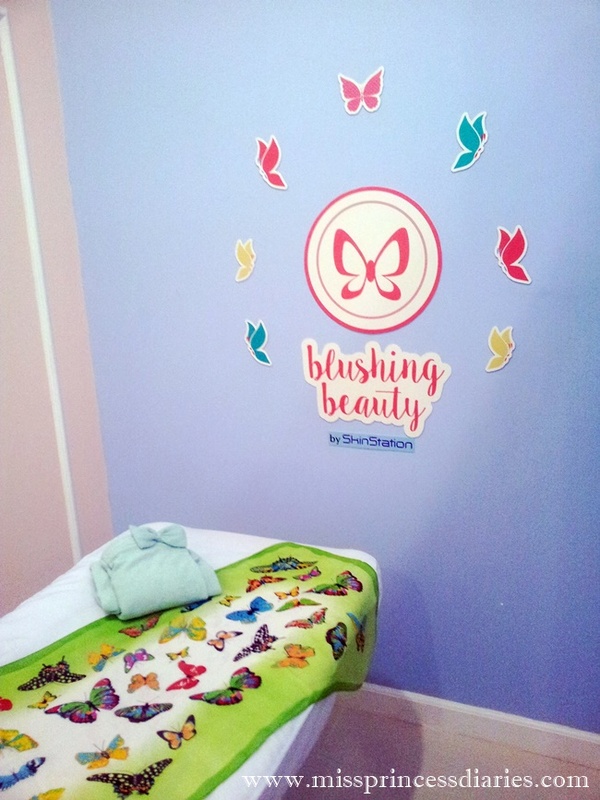 Here is a sneak peek of their treatment room. Everything is just pretty. It is nice to spend time to relax and to find peace here. I still haven't try their services though. But, I will do and promise to update you with it. 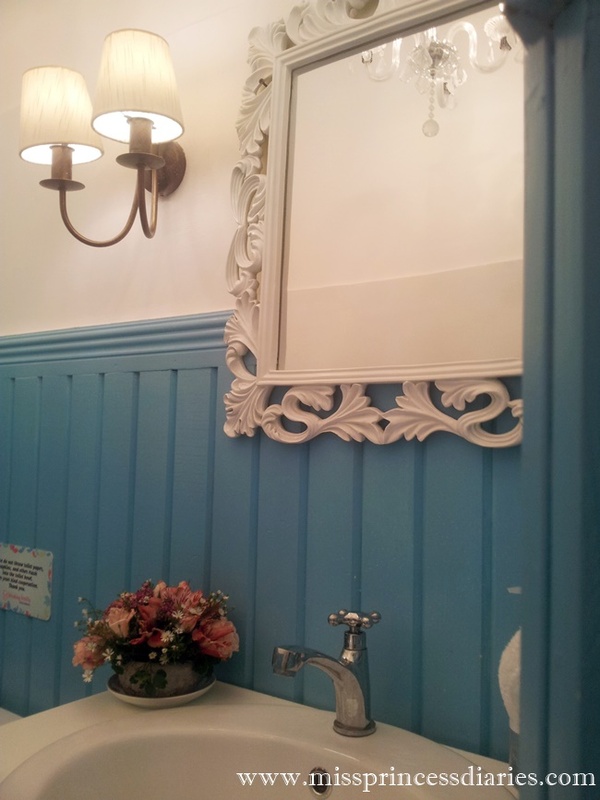 While touring around, I couldn't miss to see their luxurious restroom. You can selfie-perfect here. I love it! 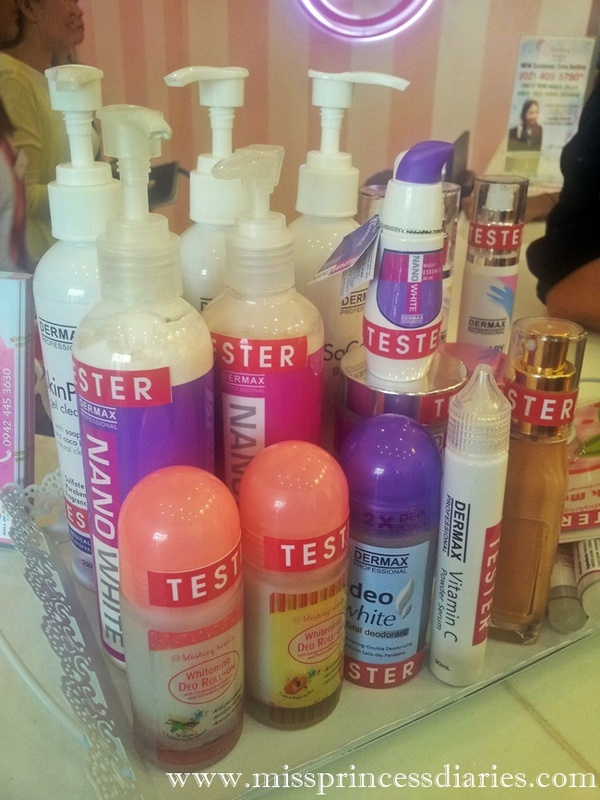 Here are the tester of some of their products. One interesting part during the event was when Mr. Fred C. Reyes shared some of the technology behind every formulated product. It is nice to know the science behind skincare formulas. Well, He didn't actually told us the secrets but He enlightened us with what product works for different needs. He also shared some myths and misconceptions about skincare products. It was really nice meeting him. He was very humble and kind. Come and visit their clinic at Mall of Asia 2/F (near Cyberzone). Have your consultation and treatment. Find the right skincare product for you. I will definitely made a separate post for a review of some of their products. How neat!! I wish I had a daughter or sister to share the experience with! 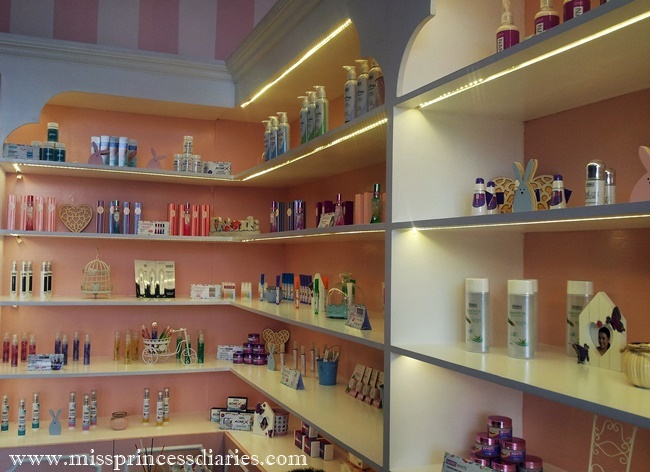 I like the ambiance of this skin station. 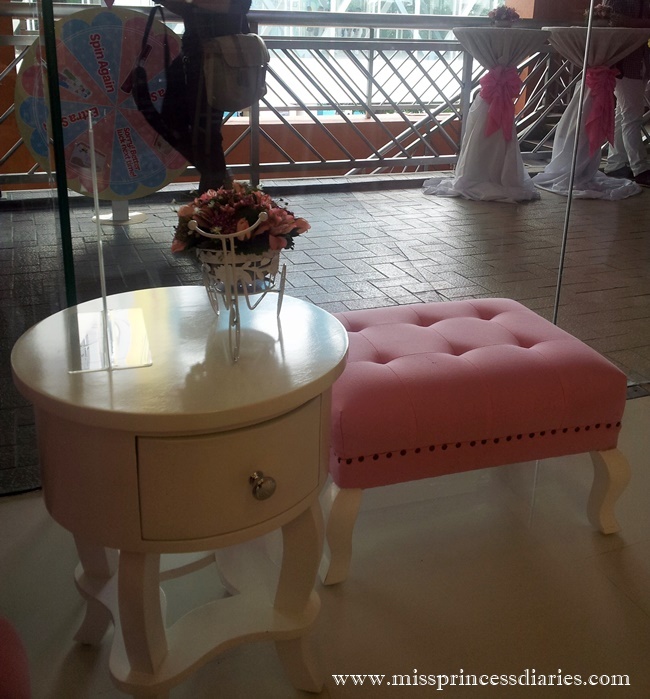 I like the choice of colors, very girl and shabby chic. It's sad that the location is quite far to my place. I just live across MOA and was oblivious that Skin Station just opened there! <3 My skin is very sensitive (not to mention very maarte) so a skin professional is a must in my lifestyle to keep it healthy and prevent any problems. Thank you for the great review. ;) I'll definitely check them out this month. 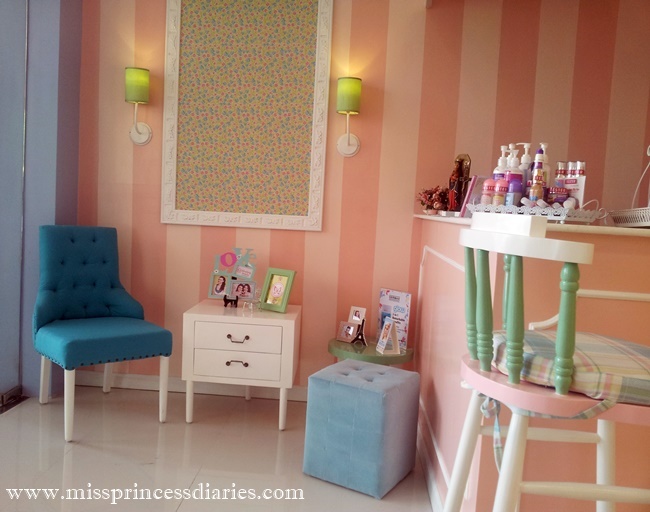 Their interiors are so cute and lovely! Very perfect for their business. Frankly, I was shocked that a man formulates and operates a business solely dedicated for the women. Anyway, how are their prices? I hope they can extend the blushing beauty here in SM Pampanga. I am using their Dermax sunblock and I really like it because it's so light in the skin and it's paraben-free and great for preggy moms like me. 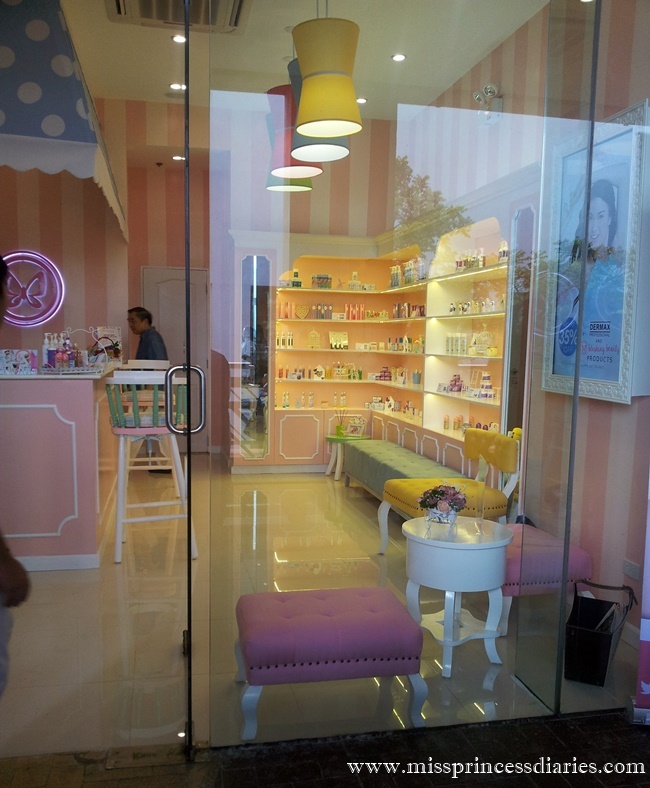 the place looks really cute... it looks like a candy shop to me hehe.. I'm pretty sure that this is a perfect place to pamper! Will do that sis. Their interiors was decorated by the sought after firm Heim Interiors. It was so lovely. It is Mr. Fred sir Sonnie. Sorry for the typo. He was truly an inspiration.